You have most of your vendors and someone asks you about a timeline and then it hits you and your family. Who’s going to “run” the day? There are a million little details and you don’t want to ask your guests or family to handle them! Let us step in and take care of everything so that you and your guests are free to relax and enjoy your event while you know we will execute your day exactly as you’ve planned. The word “day of” coordinator is popular these days in wedding magazines and sites, but that services really doesn’t exist. The benefit of having a professional on board starts well before the wedding day itself, and it’s that time and care leading up to the day that makes all the difference for the couple to relish not only their wedding day, but all of the wonderful moments leading up to it! This is why our services starts at least 45 days prior to your event. 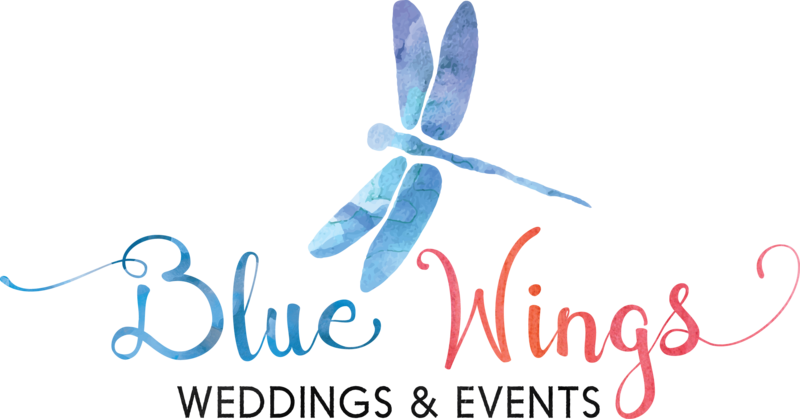 ​​At Blue Wings Events we want to help relieve some of your stress as you get closer to the wedding month. With Blue Wings Events you will know that a trustworthy coordinator can take the reins 45-30 days prior to your wedding and help review everything and get you back on track if needed or just take over in contract reviews, timelines, floor-plans and even resolve last minute issues and help smooth out many family concerns that will arise as the date approaches and then manage the entire day with grace and a smile. If you spend good money on a photographer and in all your photos you look stressed or there are no flowers, or everyone is late…then hiring a professional planner is really worth the cost. *Please note that installation/removal of chair covers, janitorial services, transportation of wedding gifts, catering of food, busing of tables, and trash removal are not included in Wedding Day Management Services provided by your wedding planner. Your wedding planner may be able to accommodate your needs with additional assistants, added planning hours, or added services. Give us a call and we can meet over coffee for a complementary consultation, so contact us! The exact cost will depend on your unique needs as well as factors like the location of the venue, the size of your event and more. Three coordinators are required for events involving two locations (example: wedding and reception at two different sites). A travel fee may be required for multiple site visits or if the event is outside of the Western Washington region. Your coordinator is responsible for directing a set-up crew and ensuring there is a clean-up plan. Typically the caterer and/or venue will set up tables, chairs, etc. For an additional fee, we can provide staff to set up, decorate and/or tear down. Please inquire for more details. Prices do not include Washington State sales tax.